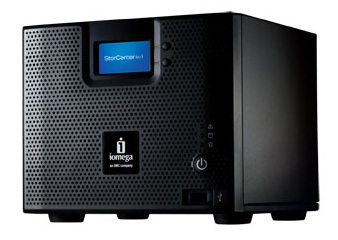 Recently I have added to my home lab NAS Iomega ix4-200d – with 4×2 TB hard drives. Here are some of my thoughts about the product. Iomega makes consumer disk based products but since April 2010 is part of EMC. They are now claiming to deliver enterprise storage solutions to small and medium businesses. The Iomega’s biggest unit – 12 disk ix12-300r is rack mountable, with dual hot-swappable power supplies but with the same OS as my Iomega ix4 – EMC Lifeline Linux. I have read many blogs saying that Iomega is very good fit for VMware ﻿home labs. It is even on VMware hardware compatibility list. the dual network ports do not support VLANs, using each port for different network segment is possible, but the separation of services is not done very well. For example you cannot limit the management interface to only one network. 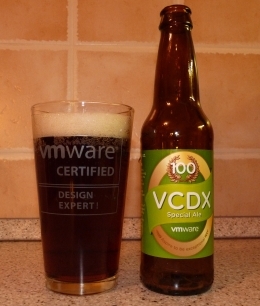 only NFS is VMware certified, iSCSI is not. 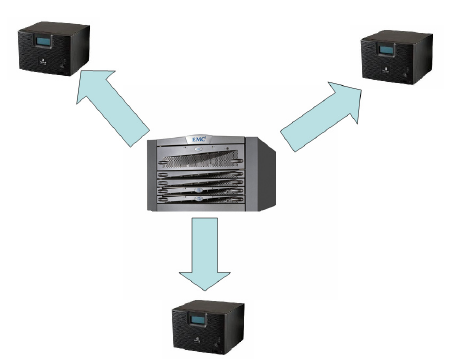 You cannot limit iSCSI to one network segment and separate LAN from SAN. My hopes were that because of the Active Directory integration it could be used as replacement of Windows File server. Well, this is not the case. You can create shares with AD access control list only at the root level and only via the GUI. You cannot create subfolders with different access rights neither from Windows nor from the GUI. This makes it unusable for business deployment. I think the unit is perfect for home use. It has enough capacity to be used for home media – movies, music and photos, for backups and for some light VMware home lab usage. However for small businesses I would recommend to use it only for backups. I was expecting Iomega to have Celerra like features and am little bit dissapointed but that is probably too much to ask in this price range.